Reference Advisor, “Drugs for the developing countries”, SIMIT (Italian Society for Infectious and Tropical Diseases). Member, European Parliament Working Group on Innovation, Access to Medicines and Poverty-Related Diseases. Former Director, Infectious Disease Division, Pistoia Hospital, Pistoia (Italy). Back ground: Communicable diseases (including HIV/AIDS, malaria, tuberculosis, schistosomiasis, river blindness, Chagas,sleeping sickness, and leishmaniasis) disproportionately affect the people living in resource-limited countries.While current patent system does not work for poor end users in these countries, it adds to the stranglehold on accessto lifesaving medicines by the protectionist policies of wealthy countries. Nonetheless, increasing pressure is registerednowadays for strategies up to promoting pharmaceutical innovation, research and development (R&D) and equitableaccess to medicines in the sake of the worst-off. Method: Analysis here will compare some strategy models in theirpotential to fairly attune patents to innovation, R&D and access, in the light of new perspectives by governments andinstitutions aligning with the spirit and resolutions of just closed sixty-third WHO World Health Assembly. Conclusion: No single model is likely to be enough solution, and a combination of two or more may be needed to ensure thatoutputs of R&D, innovation and access are available without restrictions. To this aim, all models should complementcurrent intellectual property regimens and channel open source schemes, sustainable financing mechanisms, andneeds-driven rather than merely market-driven rules. 4.8 billion people live in the developing countries: 43% of them rely on less than US$ 2 a day. Communicable diseases (including HIV/AIDS, malaria, tuberculosis-TB, schistosomiasis, river blindness, Chagas, sleeping sickness, and leishmaniasis) disproportionately affect these populations [1,2]. Treatments for these illnesses may be very expensive, or toxic, or difficult to administer, or ineffective if microbial resistance spreads (as is the case for resistant TB). With regard to HIV/AIDS, only 4 million infected people (out of 9 million in need) are receiving HIV medicines (antiretrovirals-ARVs) in the low- and middle-income countries, while Sub-Saharan Africa accounts for three-quarters of these figures and HIV resistance against first-line ARVs involves about 20% of patients in three years time from the beginning of treatments [3,4]. Thus, appropriately formulated novel medicines that are safe, affordable and effective are needed. As current patent system does generate incentive to new drug development in profitable markets only, it does not work for poor end users in resource-constrained countries. This adds to the stranglehold on access to lifesaving medicines by the protectionist policies still pursued by USA and European Union (EU) with the developing countries in terms of unbalanced Free Trade Agreements, Intellectual Property-IP enforcement agendas, and pressures to refrain from using World Trade Organization TRIPS (Trade-Related Aspects of Intellectual Property Rights) rules . Are there signals from trade rules and policy directions by governments and leading institutions that this scenario might improve? -Spirit and resolutions of 61st (May 2008) and 63rd (May 2010) World Health Assemblies by World Health Organization (WHO). They encouraged needs-driven rather than purely market-driven thinking in innovation and access to medicines. To this aim, expert working groups were established to examine both innovative sources of funding to stimulate R&D related to diseases that disproportionately affect the developing world, and operational models to ensure long-term access while de-linking R&D costs from product end prices [2,6]. -World Intellectual Property Organization (WIPO) launched “Development Agenda Group (DAG)” consisting of nineteen developing country members like-minded in making WIPO work more development friendly . -USA weakening appeal in South-East Asia, South-America and Africa due to China, India, and Russia competitors. -Unprecedented openings to Indian ARVs by the US President’s Emergency Plan for AIDS Relief (PEPFAR) . -Backing to a UNITAID patent pool plan for ARVs by some Democrat US government representatives (as by the House Energy and Commerce Committee chairman in a 11 December 2009 letter to US Secretary of State and US Global AIDS Coordinator) . -EU member governments’ rising alignment in patent issues. Examples include: the EU pharmaceutical sector inquiry on anticompetitive brand industry IP use to delay generic medicines entry into market; the declaration in support of UNITAID patent pool recently signed by 195 EU parliament members; the establishment of a New Parliament Group to monitor EU Trade pacts’ impact on poor’s medicines access; the conclusions of EU Council on the EU role in global health; the EU contribution to WHO Global Strategy and Plan of Action on Public Health, Innovation and IP through joint initiatives focussing on technology transfer, R&D needs, and innovative capacity building [10-14]. -Mounting evidence of middle-income country governments’ enforced compulsory licenses (CLs) against brand ARVs [15,16]. -Resistance of middle-income countries’ Patent Offices to evergreening drug patent applications by brand multinationals [15,17,18]. -Increasingly cost-saving ARVs bulk purchasing agreements pulled off by Clinton HIV/AIDS Initiative-UNITAID/Global Fund coalitions with generic manufacturers [17,19]. -Mushrooming both South-South drug commercialization partnerships and North-South R&D outsourcing ventures involving South industries with high-level skills in innovation, manufacturing and marketing [15,20-22]. -In progress setting of country-owned plants for generic ARV, TB and malarial drugs in Sub-Saharan Africa as a result of partnerships already signed between country governments (i.e., Mozambique- Zimbabwe, Mozambique-Brazil) or generic companies (i.e., Ugandan Quality Chemicals-Indian Cipla Pharmaceuticals Ltd.) . These plants will strengthen competitiveness against the multinationals, while falling into the African Union self-sufficiency plans and adding to country-owned drug plants already working in other African countries . These moves would make even more sense now that Ugandan Quality Chemicals industries has just become the first ARVs manufacturing plant in sub-Saharan Africa approved for export by WHO outside South Africa . -Multiplying free trade areas set up by the developing countries to enhance trade with one another: examples include the Association of Southeast Asian Nations (ASEAN), the Latin America Southern Common Market (MERCOSUR), the Common Market for Eastern and Southern Africa (COMESA). They add to regional collaboration efforts such as the New Partnership for Africa’s Development (NEPAD), the African Network for Drugs and Diagnostics Innovation (ANDI), the East African Community (EAC), the Southern African Development Community (SADC), the Economic Commission for Africa (UNECA), and the India, Brazil and South Africa network (IBSA) . -Public opinion increasing pressure against World Trade Organization and World Bank controversial economic reform programs deemed to have negative impact on health and health infrastructures in the developing countries. Pressure involves the International Monetary Fund programs which are charged with stifling health spending, while being too conservative about what policies are needed to attain macroeconomic stability in the borrowing countries . -Contagious attraction of the “Pool for Open Innovation against Neglected Tropical DiseasesÃ¢ÂÂ (aimed to streamline innovative and efficient drug discovery and development by opening access to IP or know-how in neglected tropical disease research) now that South AfricaÃ¢ÂÂs government Technology Innovation Agency and the US Massachusetts Institute of Technology just joined the original GlaxoSmithKline (founder)-Alnylam Pharmaceuticals- BIO Ventures for Global Health-Emory Institute for Drug Development & iThemba Pharmaceuticals membership. Expectedly, other universities could join the Pool, starting perhaps with the signatories of a November 2009 pledge in which a number of US universities promised to adopt new technology transfer principles to speed up access to affordable medicines in the developing world . While the favourable perspectives above will depend on the coordination and information sharing among all partners inside the Pool, there is room for hope that this joint initiative will strengthen local pharmaceutical innovation in Africa as per the efforts pursued by a number of organizations and institutions including the African Union, the NEPAD, the Council on Health Research for Development, and the African Ministerial Council on Science and Technology. Which models to ensure long-term access while de-linking R&D costs from medicine end prices? For their potential to meet expectations, some of the models drawing the interest of World Health Assemblies mentioned before are worth featuring. They include Product-Development Partnerships, Prizes, Advance Market Commitments, Patent buy-outs, Priority Review Vouchers, Health Impact Fund, and Patent Pools. These provide a framework for cooperation between the public (governments, academic and research institutions) and the private sector (companies, NGOs, and philantropic organizations like the Bill & Melinda Gates Foundation). This is a working model, which enables both industry and government to do what they could not alone. Several not-for-profit PDPs, including the International AIDS Vaccine Initiative (IAVI), the Medicines for Malaria Venture, the Global Alliance for TB Drug Development, and the Drugs for Neglected Diseases initiative (DNDi), have been set up during the past 15 years. Although only 13 of more than 1,000 drugs developed between 1975 and 1997 were for neglected diseases, PDPs created over the past decade already have 143 candidate products in development, and have rolled out 11 products . Already established PDPs comprise: DNDi-Sanofi Aventis, and DNDi-Brazilian Farmanguinhos/Fiocruz, which have resulted in artesunate-amodiaquine (ASAQ) and artesunate-mefloquine (ASMQ) antimalarial fixed-dose combination products, respectively; TB Alliance-Tibotec, to expedite development of new TB drug TMC207; and DNDi-Merck partnership, to develop medicines for leishmaniasis and Chagas. Sustainability of PDPs might be enhanced if governments decided to effectively support them once product candidates begin to enter clinical development, which is the most expensive phase of drug and vaccine discovery. Inherently, plans for a fund that would channel, from governments and other donors, billions of dollars a year into PDPs were just put forward jointly by IAVI, Novartis and the Sidney-based George Institute for International Health . Rewards to boost R&D may be in the prize form, that is a large enough cash bonus (lump sum) once a product (including vaccines and antibiotics) has been registered for marketing. Prize funds for TB and Chagas diagnostic tools have been proposed by the governments of Bolivia and Barbados. If coupled with openings to generic copy production, prizes would actually create good economic incentives and dominate prices when implemented as part of schemes that disconnect the cost of R&D from the price of medicines. Notably, prize amount to make it attractive to industry would be critical, along with risks of exceeding (or insufficient) payments than would be the case, or, even, of product withdrawal from the market after rewarding, due to adverse effects. They guarantee future purchase of specified volumes of a product to be developed at an agreed price, provided it meets targeted standards and there is demand by countries. An AMC program for pneumococcal vaccines was launched in February 2007 by Canada, Italy, Norway, Russia and United Kingdom governments, along with the Bill & Melinda Gates Foundation. This is a working model, though critics deem firms selling medicines for the same disease may have no incentives to undertake AMC vaccine programs: vaccine discovery, indeed, while leading to progressive epidemic disappearance, would shrink market and prices for related medicines. This would be the case if governments, “tout-court” or through a partner organization (such as WHO) pledged to purchase future patent on a research product, aiming to make it available at low or no cost. Patents would be sold to the highest bidder. This model would avoid monopoly price distortions, but shortcomings do exist, like collusion risks and hard patent value determination. This US Food and Drug Administration (FDA) program gives the producer of a “tropicalÃ¢ÂÂ drug (not registered yet in the U.S.) a Ã¢ÂÂvoucherÃ¢ÂÂ entitling the company to fast FDA review (6 months or less) of a new application for any unrelated medicine it makes. Shortcomings were evidenced: no obligations to affordable prices; no openings to generic suppliersÃ¢ÂÂ competition; no incentive to Ã¢ÂÂtropicalÃ¢ÂÂ therapy implementation; health risks bound with accelerated product review; litigation risks (Novartis was recently under fire due to PRV approved for its ten-year old, not yet registered in U.S., artemether/lumefantrine malarial combination). Anyway, PRVs could benefit high-tech, broad product portfolios generic firms from India, Thailand, Brazil, China, and South Africa, as they would be up to new drug development either for under-served or wealthy markets. It would offer firms a share of a fixed fund for each of ten years, in proportion to the share of health impact of their registered product out of all registered products. To exemplify, if all registered products saved twenty million “Quality-Adjusted Life Years” (QALYs), a registered product that had saved two million of these QALYs would receive ten percent of the fund. In exchange, the firm would offer royalty-free open license for generic copies following the reward period. While pushing medicine development for the poor, HIF is hard bet with regard to: 1) high level starting financing by partners (at least $6 billion per year), 2) QALYs estimating complexity, 3) partner countries commitment to financial support for at least twelve years to secure innovators payments they could wait for. A patent pool is created when a number of patents by different owners are pooled and made available on a non-exclusive basis. Third parties (e.g. generic manufacturers) can then make use of these patents against the payment of a royalty. Patent pools are part of WHO strategy to help increase access to medicines. As far as HIV/AIDS treatments are concerned, benefits of the pools are expected to include, through skyrocketed market competition, substantially lower prices for newer Fixed- Dose Combination (FDC) ARVs. Originator companies, however, still perceive patent pool for ARVs as a minefield offering the generic competitors lots of opportunities, to the detriment of patent owner’s rights. These obstacles could be overcome by a model urging partnerships between originator companies to roll out cutting edge second/third-line FDC ARVs “immediately” and allow patent pool agreements to be transacted straight afterwards. Such a model should reject clauses that exclude middle-income countries (World Bank defined) from participating in the patent pool . None of the models discussed here is likely to be enough solution, and a combination of two or more may be needed to ensure that outputs of R&D, innovation and access are available without restrictions. To this aim, all models should complement current IP regimens and channel open source schemes, sustainable financing mechanisms, and needs-driven rather than merely market-driven rules. Expectedly, the highlighted models would take advantage of concurrent interventions in the overall medicine access sector in resource-limited countries: these include investing in infrastructures, dealing with the loss of health-care workers, improving accountability and policies of local governments over counterfeit and substandard medicines, over drug leakage and diversion, and over tariffs on imported drugs [15,28]. Kaitlin M. (2010). World Health Assembly creates new initiative for R&amp;D financing. Intellectual Property Watch. Available: http://www.ipwatch. org/weblog/2010/05/21/world-health-assembly-creates-newiniti.... (accessed 25 May 2010). WHO report: (2009). Towards universal access: scaling up priority HIV/AIDS interventions in the health sector. Available: http://www. who.int/hiv/pub/tuapr_2009_en.pdf (accessed 5 May 2010). Dionisio D. (2010). Pooling ARV Drug Patents: A Pro-Access Fitting Strategy? Open AIDS Journal 4:1-3. Available: http://www.bentham. 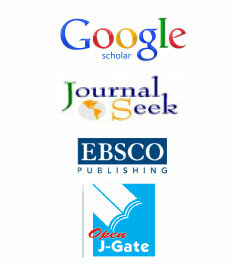 org/open/toaidj/openaccess2.htm (accessed 7 June 2010). Overview: the TRIPS Agreement (2010). World Trade Organization. Available: http://www.wto.org/English/tratop_e/trips_e/intel2_e.htm (accessed 7 June 2010). WHO report (2010). Sixty-third World Health Assembly closes after passing multiple resolutions. Available: http://www.who.int/mediacentre/ news/releases/2010/wha_closes_20100521/en/index.html (accessed 7 June 2010). International Centre for Trade and Sustainable Development (2010). Developing countries launch new coalition at WIPO. Available: http:// ictsd.org/i/news/bridgesweekly/74748/ (accessed 20 May 2010). FDA News Release (2009). FDA marks 100th HIV/AIDS drug authorized for purchase under PEPFAR. Available: http://www.fda.gov/NewsEvents/ Newsroom/PressAnnouncements/ucm185416.htm (accessed 20 May 2010). New W. (2009). Civil society, elected officials rally behind UNITAID patent pool. Intellectual Property Watch. Available: http://www.ip-watch. org/weblog/2009/12/14/civil-society-elected-officials-rally-behi... (accessed 5 May 2010). Kaitlin M. (2010). European Generics Industry calls for &ldquo;urgent patent reform&rdquo;. Intellectual Property Watch. Available: http://www.ipwatch. org/weblog/2010/03/11/european-generics-industry-calls-forurg... (accessed 5 May 2010). Written Declaration on UNITAID HIV/AIDS Patent pool supported by 195 MEPs. (2009). Available: http://www.europarl.europa.eu/ sides/getDoc.do?pubRef=-//EP//NONSGML+WDECL+P7-DCL-2009- 0055+0+DOC+PDF+V0//FR&amp;language=FR (accessed 5 May 2010). Cronin D. (2010). New Parliament Group monitors EU trade pacts&rsquo; impact on poor&rsquo;s medicines access. Intellectual Property Watch. Available: http://www.ip-watch.org/weblog/2010/01/28/new-parliamentgroup- monitors-eu-trad... (accessed 20 May 2010). Council of the European Union (2010). Council conclusions on the EU role in global health. 3011th Foreign Affairs Council meeting, Brussels. Available: http://www.eu-un.europa.eu/articles/es/article_9727_ es.htm (accessed 20 May 2010). EuropeAid: EU/WHO partnership on GSPA (2010). Available: http:// www.onetec.be/global_health/doc/EU-WHO_GSPA_info%20sheet_final. pdf (accessed 4 June 2010). Medecins Sans Frontieres (2010). Victory for access to medicines as valganciclovir patent is rejected in India. Available: http://www.msfaccess. org/main/access-patents/ (accessed 5 May 2010). Medecins Sans Frontieres (2010). Untangling the web of antiretroviral price reductions: 12th edition. Campaign for Access to Essential Medicines. Available: http://utw.msfaccess.org/ (accessed 5 May 2010). Engardio P. (2008). Chinese Scientists Build Big Pharma Back Home. BusinessWeek. Available: http://www.businessweek.com/print/magazine/ content/08_37/b4099052479887.htm (accessed 20 May 2010). Engardio P, Weintraub A. (2008). Outsourcing the Drug Industry. BusinessWeek. Available: http://www.businessweek.com/print/magazine/ content/08_37/b4099048471329.htm (accessed 20 May 2010). Thorsteinsdottir H, Melon CC, Ray M, Chakkalackal S, Li M, et al. (2010). South-South entrepreneurial collaboration in health biotech. Nature Biotechnology 28: 407-416. Available: http://www.nature.com/ nbt/journal/v28/n5/abs/nbt0510-407.html (accessed 7 June 2010). Nabusoba I. (2010). Uganda: WHO approves Luzira HIV drug factory. AllAfrica.com. Available: http://allafrica.com/stories/ printable/201003110197.html (accessed 5 May 2010). Nordling L. (2010). Patent pool starts to attract interest. Science and Development Network. Available: http://www.scidev.net/en/news/patent- pool-starts-to-attract-interest.html (accessed 15 May 2010).